This large shield protects sensitive measurings from drafts, while maintaining a controlled environment. They are for use with high precision electronic balances and protect expensive equipment from knocks and spills. 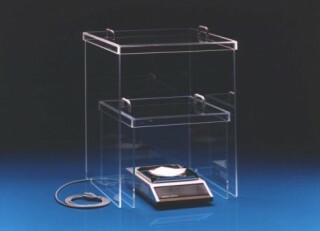 A removable lid allows additional access when pouring liquids or adding dry chemicals from the top. There are three sides, each with a notch at the bottom to position a power cord when needed.